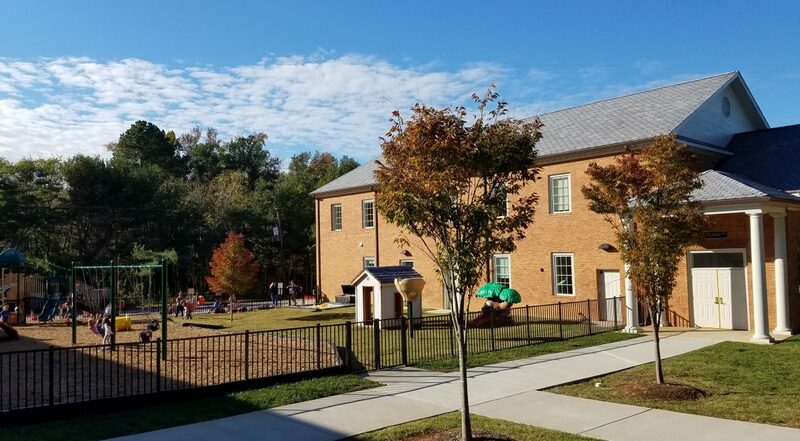 Salisbury preschool’s philosophy is based on developmentally appropriate practices, along with current knowledge and research in the field of early childhood development. Our goal is to provide a high-quality program that will promote each child’s social, emotional, physical, intellectual and spiritual well being. In addition, the program is Christian-based. Christian values and principles are shared daily through learning activities. We provide a safe and nurturing environment that promotes learning across all developmental disciplines. We provide a well structured play-based environment that is designed to promote not only cognitive development but also give children an opportunity to learn to deal with their emotions, interact with others, solve conflicts, and develop their imagination and creativity. Teachers and assistant teachers are selected on the basis of their educational backgrounds as well as their personality, love for children and ability to work effectively with children individually, as well as in groups. Each staff member is carefully screened and exhibits the following: good character and reputation, excellent communication skills in working with preschoolers and their families, and current knowledge of the developmental needs of young children. Our goals are to develop a positive relationship with every family and to work together with each family in order to support each child’s development and learning. Throughout the school year there are numerous ways for parents to participate in the classroom including; helping with class parties, field trips and special classroom activities (i.e. cooking, art, or reading). In addition each student’s progress is reported to the parents several times throughout the year, including parent/teacher conferences in the spring. Once a week all students in the Pre-K class visit the sanctuary for chapel. The church’s ministry staff, as well as preschool parents, creatively present Bible stories, songs, lessons, and prayers. Physical education is a vital part of early childhood development. It is very important that the children spend some time outside every day. Please send your child to school in the appropriate attire and be aware that the children will be going outside every day unless there are extreme weather conditions (rain, temperatures under 40 degrees). Also please be aware of the dress code concerning appropriate footwear. For safety reasons, no flip-flops or Crocs. Salisbury Presbyterian Preschool was organized and has been operated by the Salisbury Presbyterian Church since August 1984. It continues to be a vital part of the church’s ministry. The Preschool is coordinated by the Director under the guidance of the Preschool Committee reporting to the Church’s standing committee on Christian Education and Discipleship.